Motorola has updated its popular Moto G in the UK at an event in London. 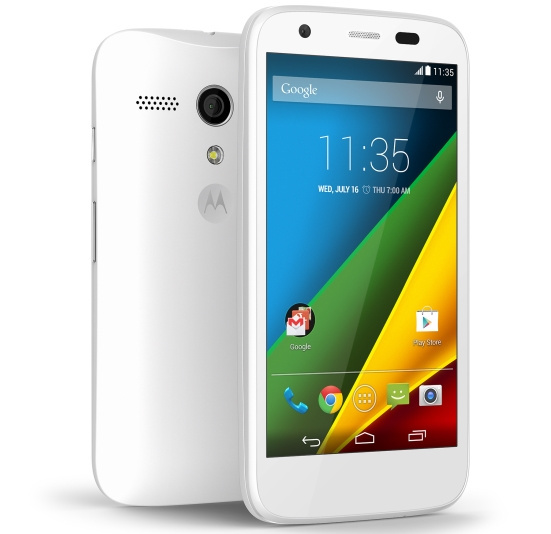 Motorola Moto E a new budget smartphone also has been launched in India and the United Kingdom. The new Moto G comes with upgraded specifications and features. The new Moto-G has 4G LTE support and micro SD card, which was ceased in earlier variant. It comes in White and Black colors, of course you can make it more beautiful by replaceable back covers. The company has not shed any light on the availability of the handset yet. In mean time check out latest Motorola Moto E.